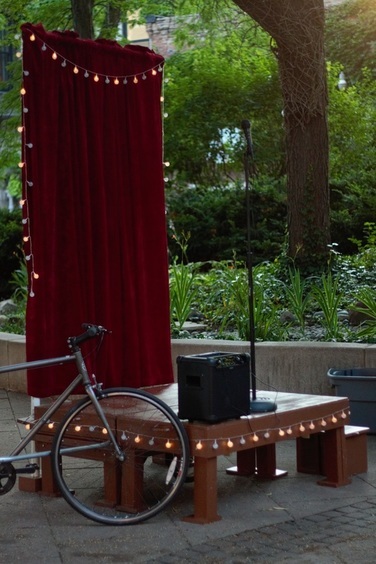 Do Not Submit is a series of free open mics around Chicago where people from all walks of life and backgrounds can come together each month to connect through the sharing of personal stories in a safe, supportive environment free from pressure, judgment, or a cover charge. All are welcome to speak or simply listen. Everyone has a story to tell, and we want to hear yours. 1) Simply show up at the neighborhood venue a half hour before the open mic starts. (Slots will be available throughout the night if space allows, so if you cannot arrive early, you may still have a chance to share). 2) Write your name on the list. Names will be called in order. 3) When your name is called, you get seven minutes on stage to tell any story you'd like. You are also welcome to attend just to listen. See below for details on each open mic, and visit our FAQ if you need answers. of the neighborhood open mics. In July 2016, we decided that asking you to come to an open mic wasn't enough. Starting this month, we'll be bringing an open mic to you. Built by mad genius Peter LeGrand, Sydney folds up neatly to be towed around the city by bicycle. You'll see her in parks, on street corners, at farmers markets, inside of festivals, and anywhere else people gather together and have stories to share. Sydney comes out of hibernation in Chicago this spring!